Hi there stampers. Yup, you guessed it... it's another birthday post today. This one, a masculine card. 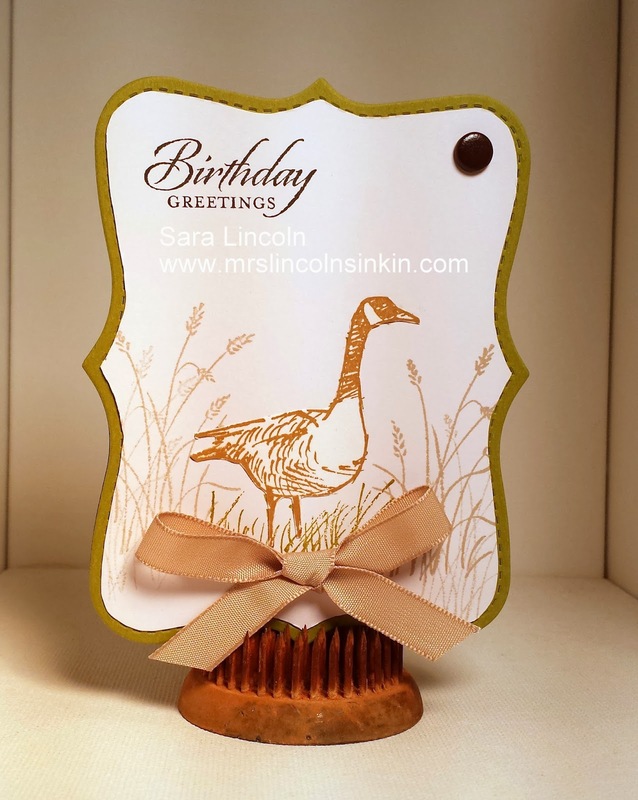 I used the stamp set Wetlands, a great set in general and works really well with masculine cards. 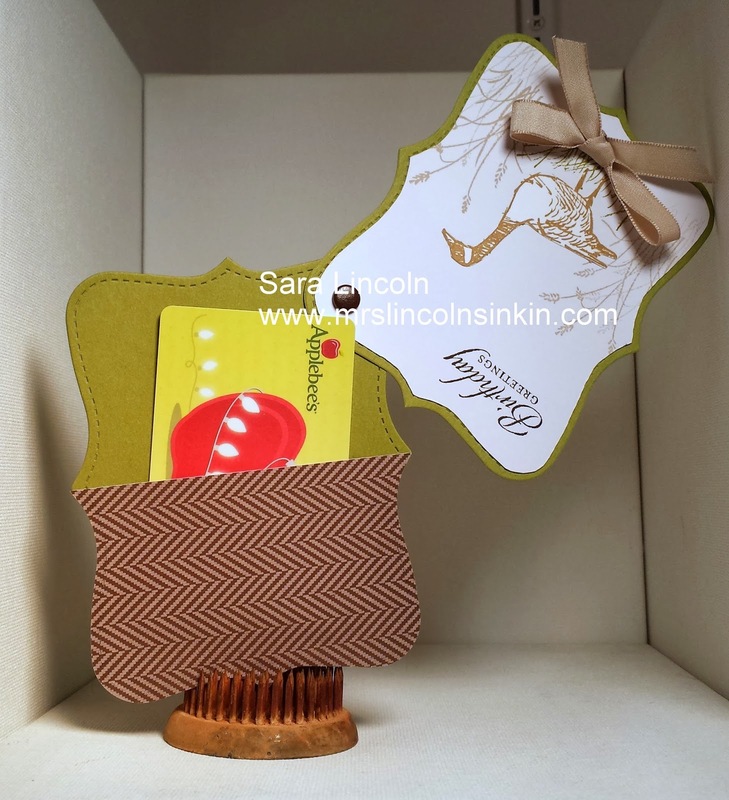 The card is cut out using the Top Note Die and the Big Shot. I didn't want the card to just be an average size or average looking card so the best way that i like to change it up is to use a die or a framelit to make the shape of my card. I wanted my card to have an outline so i used Whisper White card stock with my Top Note die first, cut that out by hand and then cut out additional pieces` using the Old Olive card stock. Now on a personal note... i have been getting a TON of stamping done lately since we are in the middle of a snow/blizzard storm!! If it isn't an ice storm, which we had a few weeks ago... we are now in a huge snow storm. We are expected to have wind chills as low as 40 below!!! Holy cold!!!! 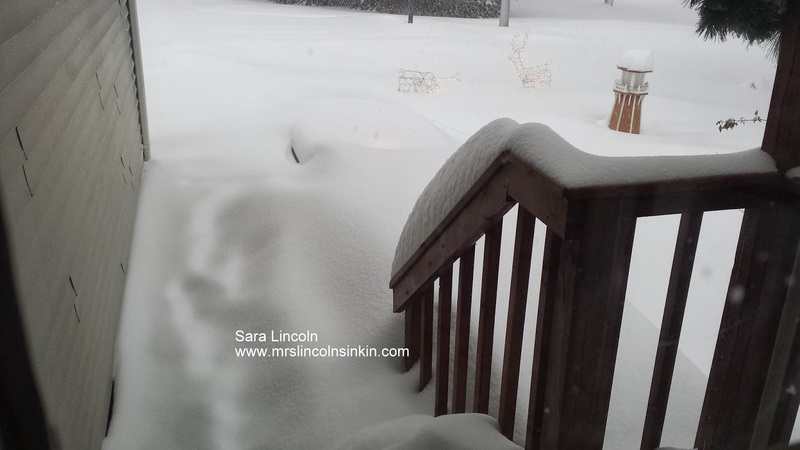 Here are a few pictures of the snow that we have gotten thus far. 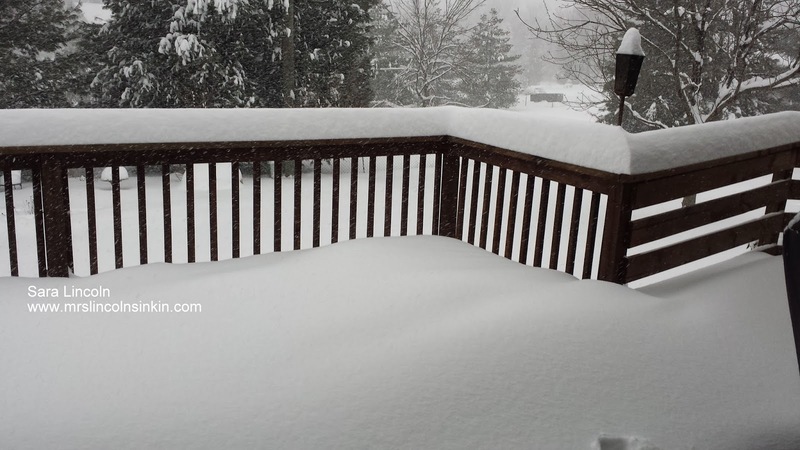 The top picture is of our back deck. If you can believe it our deck is actually a 2 tier deck.... you can't even tell, lol. The bottom picture here is of our front deck... we are a flower bed that runs the length of our house (to the right of our deck railing) and then there is a "deck" there as well. Yup, i'm not lying. See our Christmas deer out there? There is actually a third one out there (we got three... a daddy, a mommy and a baby to represent our family). The baby deer is completely covered. YIKES!! !